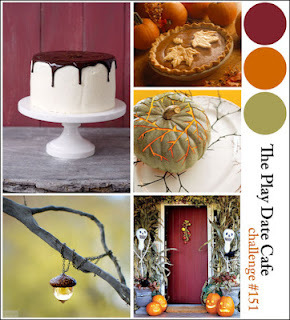 Welcome to this weeks color story at The Play Date Cafe. Our colors are Wine, Pumpkin, & Moss. A perfect Autumn color palette. Our sponsor this week is EAD Designs. 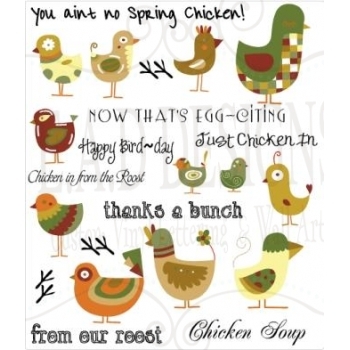 I'm the Sunday Inspiration Girl at EAD Designs and just LOVE their stickers and vinyl. They graciously provided the design team with Stickerz to use on our project this week. For my card, I used a really cute Stickerz sheet called Just Chicken In. 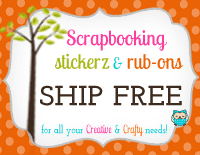 The papers are Whisper White, Pumpkin Pie, Old Olive and Rich Razzleberry from Stampin' Up. The twine is Halloween by Doodlebug Designs. 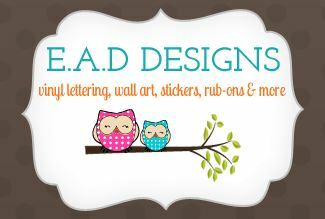 Be sure to stop by EAD Designs and check out their fun vinyl, stickers, rub-ons, etc... And remember Stickerz & Rub-ons SHIP FREE!!! I hope you can join us this week. I can't wait to see your gorgeous creations! 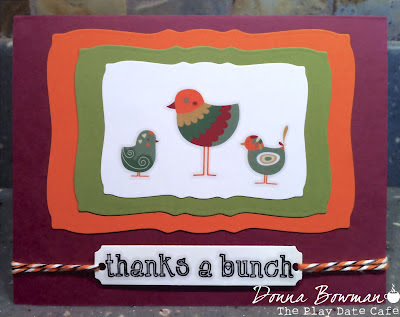 Beautifully done and I really like how you did the die cuts and your colors!!! Those birds are just too cute Donna! Great take on the colours for the PDCC! Love all the fun layers Donna!